We utilize a CAD program that allows you to see your cabinets in 3D full colored before they are built. It allows you to make the necessary changes to your project. Our skilled designer can help you create and customize your cabinetry by working hand- in- hand with you. We will not build until you are satisfied with the final design. We design cabinets to fit your needs best while working within your budget. Cabinetry is an investment that will add value to your home and reward you for years to come. 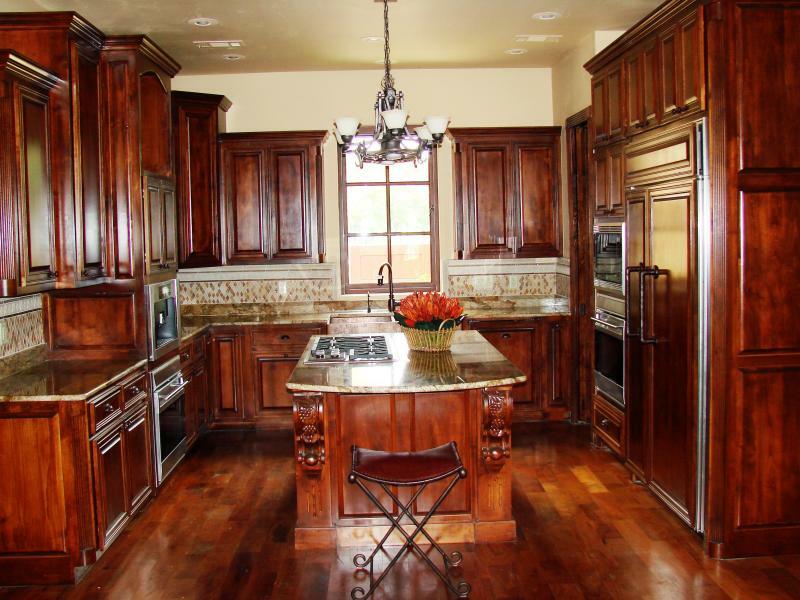 We are a family owned and operated business that offers high quality cabinetry and trim that creates a livable space. We cater to our customers, ensuring quality custom cabinetry to accommodate and compliment both your personal taste and needs. Our expert designer will create a one- of- a kind custom design to fit any budget. We believe the kitchen is the heart of the home! Quality and service is our commitment, to you our customer. We work with the home owner, builder, designer or realtor to ensure your satisfaction. Brings together the experience and high quality to provide the best product possible. We stand behind our workmanship,because we love what we do. Where style meets functionality and long lasting beauty. Let us make your dream cabinets a reality! R&R Custom Woodworks is looking forward for the opportunity to bring, functionality and beauty to your new cabinetry that will compliment your personal taste. Free estimates in the Hill Country area. Let us accommodate your busy lifestyle by offering you after hours consultations. In order to achieve the best results it is very important that we get the accurate measurements. Copyright 2010 R & R Custom Woodworks. All rights reserved.